While walking on this clear, sunny morning, my daughter and I got caught between five, swirling dragonflys in our neighbor’s driveway. 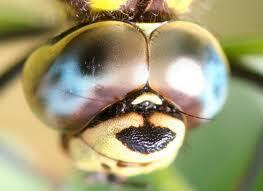 Nevertheless, we looked up dragonfly in the Medicine Cards book. 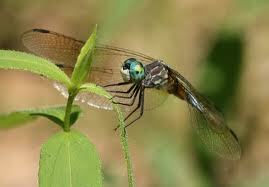 Dragonfly corresponds with Illusion as in the illusion of this reality. The solution? The answer is always the same across the various spiritual practices. To go deeply within where the strength and the magic reside. Our Medicine Cards copy is from 1988, but this popular book by Jamie Sands and David Carson was re-published in 1999 and is sold on Amazon. Dragonflies and damselflies inhabit two realms – water and air. The significance of these should be examined. In their early life – as a nymph – they live within the water. As they mature and go through their metamorphosis, they move to the realm of air. It is not unusual to find individuals with dragonfly totems to be very emotional and passionate in the early years, but as they get older, they learn to balance it with greater mental clarity and control. Sometimes it can indicate that the emotions have gotten shut down because of emotional issues in the early life. Remember the dragonfly and damselfly are always found around water. There must be expressions of the emotional and the mental together. If a dragonfly has shown up in your life, you may need some fresh air in regard to something emotional. You may need to gain a new perspective or make a change. It may even indicate that you are neglecting your emotions. Are you being too rational about something? Are you not keeping the color of emotions alive? Thank dear Cinda for adding that. Dragonflys are unusual here so I felt it was a meaningful moment.